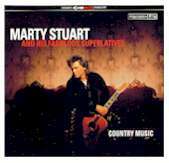 Recorded at Johnny Cash's cabin studio in Tennessee and co-produced by the late legend's son, John Carter Cash, BADLANDS makes Marty Stuart's connection to the Man in Black all the more explicit. 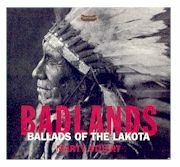 A former bandmate and son-in-law of Cash's, Stuart also shares the country icon's interest in Native American culture, as evidenced on this 2005 album. The moody production and Stuart's twangy, occasionally rock-inflected arrangements carry these 13 sweeping narratives about the always rich, always complex history of America's indigenous people. The result is a compelling record and a thoughtful addition to the singer's increasingly remarkable body of work. 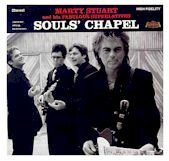 To say that Soul’s Chapel is heartfelt would be to tell it’s something manifold pleasures short. It is a heartfelt album, to be sure. It is also a hard-rocking album that is as captivating in its simplicity as it is profound in it’s emotional depth. It’s pretty hard to resist Soul’s Chapel in any of these manifestations. From the opining notes of the roebuck staples-styled guitar (actually it is “Pops” Staple’s guitar played by Marty Stuart ) to the sly syncopation of Albert Brumley’s “Lord Give Me A Little More Time” to idiomatic treatments of gospel standards and originals alike to the instrumental perfection of Soul’s Chapel this is an album to suit nearly every taste but no that is predication most of all the passionate conviction that one man brings to it both instrumentally and vocally. When I was learning to play while growing up in Mississippi. I heard the old blues man “Son” Thomas say, if you play the blues, you’re working on the devil line; if you’re singing the gospel, you’re working on God line, they his ain’t no in between. You got to do one or the other. I’ve always had trouble with that belief. I believe God loves all kinds music. Under the anointing power of the almighty presence, the gospel can be proclaimed in the bluest tones in the middle of the Mississippi cotton field as well as it can in the most gothic of cathedrals. 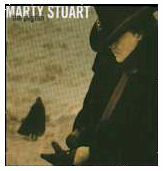 ne of the most popular country artists of the 90's "Says L.A. Life".Marty Stuart has fused honky tonk with rockabilly and bluegrass gaining a large following as a result "When hes was only thirteen Stuart joined the band of bluesgrass legend Lester Flatt and toured for seven years until flatt's death. 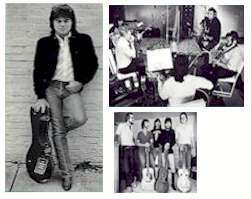 Stuart then toured with Johnny Cash for six years. He has recorded four golden albums with MCA. Records since 1989 and won three grammys. For two year he hosted the popular Marty Party series of specials on TNN. He has been a member of the Grand Ole Opry since 1992 and is currently president of the Country Music foundation. Marty can play anything" Thats what Cowboy Jack Clement said to me one day. Those of you who listen to this album will see that Cowboy tells the truth. Cowboy has heard some other pickers too. He was an engineer at Sam Phillipss Sun Records in the fifties, where he recorded and produced the likes of Jerry Lee Lewis, Carl Perkins and Johnny Cash. And later in Nashville He produced something like sixteen consecutive gold records for Charley Pride, and much of Waylon Jennings best , and some of Cashs finest contemporary work. So Cowboy should know Marty can play anything !!!! Marty says that this album is a tribute to his traditional musical roots. But Wait, this is also a commercial album Sugar Hill artist and the label share a love for traditional country music, but I doubt that any of them would say they want to make uncommercial records. 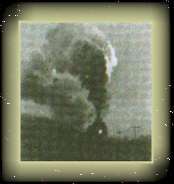 The point is this, this record is no less "commercial" because it is honest to "tradition" The Carter Family, Jimmie Rodgers and Bill Monroe were the most commercial figures in the country music business at the time of their innovation they paid respect to tradition, and they were different and they were commercial. 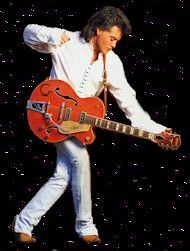 ( Enough preaching )  I just think the sermon makes it easier to understand Marty Stuart. 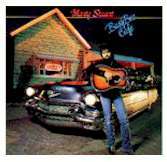 Marty was born in Philadelphia Mississippi and got started on country music early in life. His mom would let five year old Marty and his sister fall to sleep while listening to music Lester Flatt and Johnny Cashs ( Live At Folsom Prison ). By the age 13, Marty would leave home and like a dream come true go on the road as a member of Lester Flatts band. At 19, he joined Johnny Cashs band. 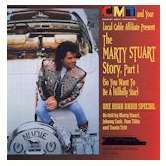 In this one hour radio special, youll hear Martys story told by himself and his friends Johnny Cash, Pam Tillis and Travis Tritt. 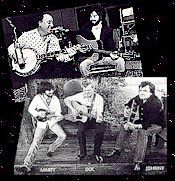 They tell us the story of Martys musical crusade from the beginning as a wide eyed kindergarten kid peeking into the rhythm filled Busy Bee Café to the present. 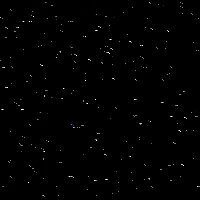 Looking For A Song Title , Name, Subject, Will Now It's Made Easy To Search Just This Site.